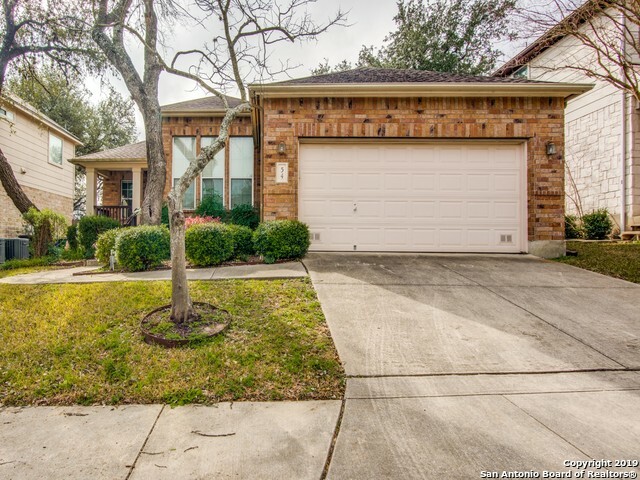 All FINESILVER homes currently listed for sale in San Antonio as of 04/18/2019 are shown below. You can change the search criteria at any time by pressing the 'Change Search' button below. "Pristine one story, four bedroom, 2 full bath home located in the quiet gated Finesilver Subdivision. Open floor plan, plenty of cabinet space in kitchen, with stainless steel appliances. Master Bedroom has a beautiful walk in shower, 4th bedroom can also be a study. Xeriscaped yard, studded with large oak trees that provide shade, spacious wooden deck with hot tub. Perfect for bbq's." "Small gated community off Braun Road and inside 1604. Step into a cozy home that has had lots of TLC. Beautiful two story home with high ceilings; light & bright, lots of windows. Enjoy the back deck to a peaceful backyard setting and greenbelt. All bedrooms up. Great kitchen. New roof April 2019;updated master bath; flooring recently replaced. Close to elementary school, easy commute on 1604 to Sea World; shopping on Bandera or IH 10 but tucked away as a unique neighborhood. This is a must to"